The National Judicial Council, NJC, will Monday, reconvene to determine the appropriate action it would take with respect to corruption allegations against the suspended Chief Justice of Nigeria, CJN, Justice Walter Onnoghen. The Council, had on January 29, directed Justice Onnoghen who was suspended from office on January 25 by President Muhammadu Buhari, to within seven days, respond to a petition that was lodged against him by one Zikhrillahi Ibrahim of Resource Centre for Human Rights & Civil Education. Onnoghen was specifically asked to defend the allegation that he acquired funds and properties, way beyond his legitimate earnings. Similarly, the NJC which is the organ of the judiciary responsible for the Appointment, Promotion, and Discipline of Judicial Officers, also directed the Acting CJN, Justice Tanko Muhammad, to explain why disciplinary action should not be taken against him for submitting himself to be sworn-in by President Buhari, as Onnoghen’s replacement. The Acting CJN, Justice Muhammad, was asked to respond to two separate petitions entered against him by a group under the aegis of Centre for Justice and Peace Initiative, as well as by a former President of the Nigerian Bar Association, NBA, Chief Olisa Agbakoba, SAN. Agbakoba had in his petition, urged the NJC to determine the propriety of Justice Muhammad, accepting to be sworn-in by the President in place of the suspended CJN, despite being aware of the implication of his conduct. According to Agbakoba, by submitting himself to the President to be sworn-in as acting CJN, Justice Muhammad, lent himself to a constitutional infraction by the executive arm of government. He recalled that Justice Muhammad was a member of the panel that sanctioned Justice Obisike Orji of Abia State for allowing himself to be sworn-in as Abia State Chief Judge by the state’s governor, without recourse to the NJC. Consequently, Agbakoba, accused the Acting CJN of engaging in an act of judicial misconduct. The NJC decided to query both Onnoghen and Muhammad, who are the two top judicial officers in the country, after an emergency meeting it held in Abuja. Meantime, Onnoghen, who is facing a six-count charge before the Code of Conduct Tribunal, CCT, has insisted that he legitimately earned “huge funds” allegedly traced to five separate bank accounts that were linked to him. Onnnoghen further justified series of deposits that were linked to the accounts, saying they were proceeds from his trade in foreign exchange (forex), AGRICODE, as well as proceeds of his investments. According to the suspended CJN, “The deposits made in my US Dollar account No. 87000106250 with STD. Chartered Bank of $10,000 at different intervals of June 28, 2011 were sourced partly from my reserve and saving from my estacodes, including medical expenses. “The same applies to my deposit of July 28, 2011, of $10,000 twice. It is important to state that prior to my opening the US dollar account, I had foreign currency, which I kept at home, due to the fact that there existed a government that proscribed the operation of foreign currency account by public officers including judicial officers. “It was when I got to know that the policy had changed that I had to open the said account. Upon opening the account, I was made to understand that I cannot pay in more than $10,000 at a time and per payment slip. I cannot remember the total amount I had on reserve at the time, but it spread from my practice days as a private legal practitioner from 1979 to 1989. “In the January 1, 2019 document, the suspended jurist, who wrote his statement on January 11, 2019, between 12:30pm to 1: 45pm added: “I, Walter S. N. Onnoghen, of the Supreme Court of Nigeria, hereby, voluntarily depose to the statement averred herein, knowing that whatever I write or state may be tendered against me as evidence in court. 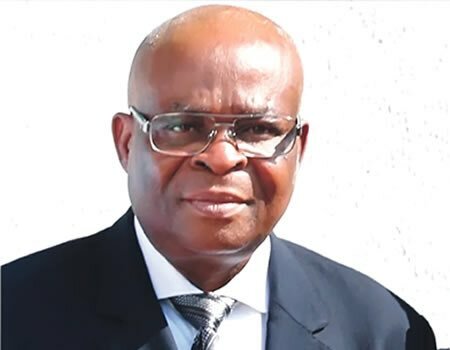 In response to allegations of non-declaration of his assets, justice Onnoghen said: “My asset declaration for numbers. SCN000014 and SCN.0000 5 were declared on the same day, December 14, 2016 because I forgot to make a declaration of May 2005 of my assets after the expiration of my 2005 declaration in 2009. “Following my appointment as acting chief justice of Nigeria in November 2016, the need to declare my asset anew made me to realise the mistake and then did the declarations to cover the period in default. “I did not include my Standard Chartered Bank Account in SCN. 000014 because I believed they were not opened during the period covered by the declaration. Meanwhile, whereas the Abuja Division of the Court of Appeal, will on Tuesday, commence hearing on the appeal that Justice Onnoghen lodged to challenge his trial before the CCT. The Justice Danladi Umar-led tribunal earlier directed the suspended CJN to ensure that he appeared before it on Wednesday to enter his plea to the charge the federal government entered against him.